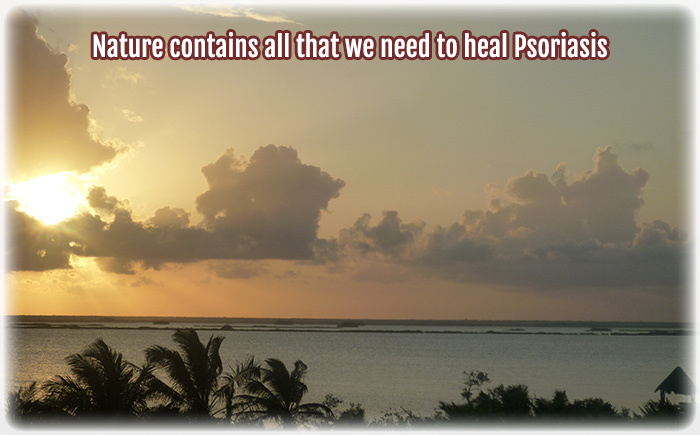 I have been through dozens of supplements and different types of probiotics in my quest to cure Psoriasis naturally. 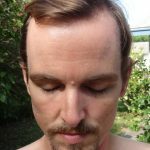 When I relapsed in summer 2015, I went on the hunt through thousands of capsules, tablets, tinctures, powders and dollars. I was looking for a silver bullet supplementation protocol to add to my diet. Why did the Psoriasis come back worse than the first time? 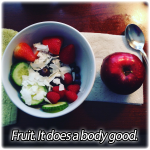 I was missing the proper probiotics and I had deprived myself of fruit in my healing diet. Now, I am clearing for good and I feel stronger and healthier than I EVER have. 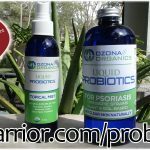 The proper probiotics are by far, the most important and powerful supplement to heal Psoriasis naturally, clear the skin for good and remove all chronic illnesses from the human body. A disrupted gut microbiota, due to many toxic conditions, is the epicenter of chronic illnesses. With a focus on restoring the proper microbial balance, by introducing the right organisms, we can reverse the dis-ease state. We must consistently be in a healing state. What are the “right organisms”? Plant and Soil Based Organisms, aka PSBOs known specifically as “microbial metabolites“. They are bacteria that produce metabolic enzymes as a byproduct. These metabolic enzymes are crucial in influencing balanced immune system function while also healing the inflamed gut and bowel walls. Metabolic enzymes perform important functions throughout the body such as cell tissue repair, waste cleanup, and even destruction of harmful cells. Enzymes are the agents of change in the body. Their Resiliency – They must survive the stomach acid to make it to the Ileum where they thrive and strongly influence immune function. Since they live on and around the plants and deal with all types of weather conditions, PSBOs become very resilient and make it past the stomach acid intact. They are kept in an enzyme-enriched substrate when bottled, so they stay alive and continue to strenghthen. If the bacteria burn up in the stomach acid, then their CFU count doesn’t matter and it leads to bloating, gas and constipation. I have gone through these symptoms a few times in the past on my search for the proper probiotics. Their Numbers – PSBOs are in low numbers in the gut now, so they are more influential and colonize quickly upon arrival. Taking common probiotics, which are already in high numbers in the gut, have much less impact as they lose the territory battle to the indigenous organisms. Their Byproducts – As mentioned, they pass on metabolic enzymes along with B12 and other nutrients as byproducts. Like any living organisms, probiotics need to eat nutrients, and remove byproducts. These particular plant & soil based organisms like to feed on plant matter, known as ‘prebiotics’. These are insoluble fibers we cannot digest, but they can. When they eat prebiotics, they create bio-available nutrients that the body can easily absorb. Dr. Chris Kresser has an awesome podcast interview with Dr. Justin Sonnenburg discussing the gut microbiota and reversing dis-ease states. I have listened to it a few times and learn more each time. A proper gut microbiota balance is the sword and shield to heal, reach full vitality and stay well for good in this modern world which has many challenges to being well. How did I come across these probiotics? Beginning in February 2016 and onward into 2017, I had been reading and restructuring my approach based on two ground-breaking books written by Anthony William called Medical Medium and Life-Changing Foods. The books discussed “elevated organisms” as the crucial bacteria to consume. These elevated organisms that grow naturally on plants and the soil around them. I was hunting for a probiotics supplement that followed this idea and in January 2017, a great guy named Randy Upham, the lead biologist and founder of Ozona Organics, came into my life at the perfect time. 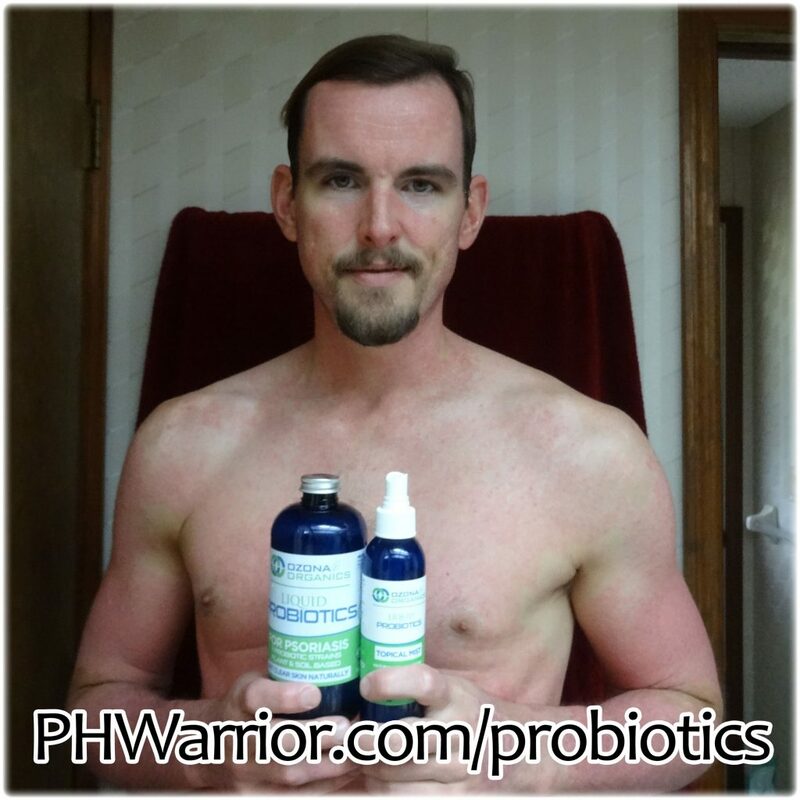 He offered to give me some of his liquid probiotics for Psoriasis relief to try. He called them “plant and soil based microbial metabolites“. He then mentioned others’ feedback who had been using it about 90 days or more. Many folks came back happy to report that their long-term Psoriasis, Eczema, Rosacea and other chronic skin ailments were clearing up! This was in addition to many chronic gut and bowel issues going away as well. So, in early Spring 2017, I dedicated myself to my PHWarrior Healing Diet, adjusting my approach based on Anthony William’s books and stuck with these probiotics everyday. I have been using them for a year and it’s happening! My skin is calming, clearing, and the amount of flaking and itching has decreased a lot, I’d say about 90%!!. I’m still red and pink, but the inflammation is down and the skin is fully clearing. 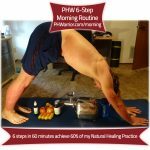 I can tell this is fundamental healing, based on my six years of experience on this natural journey. 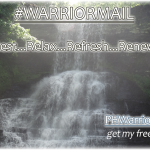 I have dealt with a myriad of crazy symptoms that deep natural healing brings about. I’m winning this war, it’s just a matter of perseverance & determination. I have spoken with about 100 people so far, who have been taking it for at least three months and they are all noticing results. It appears to be working for many Warriors, and there have been no negative side effects reported at all. I have developed a strong rapport with Randy and I trust him. He truly wants to help people heal. I’m SO EXCITED! The only other ingredient, is a liquid enzyme-enriched substrate which feeds the organisms, keeping them alive and strong while bottled. This is why no refrigeration is needed and they have a very long shelf life. They are alive and ready for ACTION in the gut!! I eat mostly all organic myself. Organics don’t guarantee PSBOs (aka elevated organisms). In most cases they are not present on organics since soaps, handling, refrigeration and processing are all still part of the production cycle. If you are growing sprouts on your window sill, tending your own garden, picking fruits from trees, or purchasing produce from a farmer you know, then the organisms are still present. They appear as a very thin white film at the base of the plant on the soil, on the stem and on the leaves, and on the skin of the fruits and vegetables. I strongly suggest eating organics, to avoid conventional pesticides and herbicides (glyphosate aka Roundup), which are part of the triangular cause of Psoriasis and Eczema. Those poisons are very hard on the Liver and they destroy the pathways good bacteria require. The Natural Balance needs to be restored. Imagine a Utopia, where we wander around eating fruits from the trees and veggies from the ground which have elevated organisms living on the skins, leaves and peels. We pass the parts we don’t digest back to the soil that plants thrive on. That’s how animals, humans, plants and bacteria have been symbiotically co-existing for thousands of years. Humans got by for eons with this balance. Whether you eat the plants, or eat the animal meat that ate the plants, it’s part of that necessary cycle. This cycle has broken down over the past century. 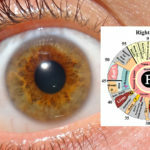 That coupled with the excessive use of environmental poisons, such as herbicides, pesticides, and heavy metals have set the stage for a mass epidemic of generational, chronic illnesses. We must reverse the dis-ease state and live in a healing state. 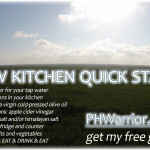 The problem in an acidic dis-ease state, is the environment is perfect for pathogenic bacteria and viruses to thrive. They eat indigestible fats, proteins, sugars, heavy metals, herbicides, pesticides, and other environmental poisons which are rotting in the gut. This process also creates ammonia gas which seeps through the gut wall wreaking havoc systemically, also known as leaky gut syndrome. 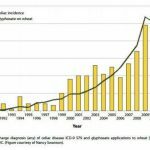 These pathogens proliferate and cause flare ups and triggers. They are the guns. We need to kick these bad guys out and restore peace and balance. We need the good guys cut out for the job. Don’t get caught up in trying to identify triggers and avoid them, remove the guns and the triggers fade away. This is how we get off the carousel of chronic illnesses. PSBOs are transient. They travel through the entire gut and bowel, helping every inch of the GI tract. Some colonize and some leave with the stool, going back to the soil completing the natural cycle. Animals feed the soil, the soil feeds the plants, the plants feed the animals (humans). The bacteria are the agents in this cycle. They MUST be consistently present and thriving. In modern food production and dietary choices, this natural cycle is interrupted, leading to poor lymphatic function, acidic gut and immune imbalances. So, on that basis, I will take them for the rest of my life to restore and maintain this balance and I’m seeing the results as I go. It’s slow and steady progress, which leads me to summarize that it will continue. I do plan to have my own garden and eat from my own land when I can afford to do so. That is certainly the long-term goal. Prebiotics are absolutely necessary as well. Prebiotics are mainly insoluble fibers that we cannot digest. They feed PSBOs. So we need to bring prebiotics in through the diet, so they can feed inside of us and produce the necessary byproducts we thrive on along with helping us absorb vitamins and other nutrients. You can take all the vitamin supplements you want, if you aren’t absorbing them, you end up with expensive urine. Probiotics eat the parts of plant foods we cannot digest and produce crucial byproducts we can absorb. This is symbiosis. Absorption and Elimination are the name of the game in healing, enzymes are the agents of absorption and elimination. So eat a high raw food enzyme diet (fruit grazing) and probiotics that produce metabolic enzymes. This takes a LOT of pressure off the liver, pancreas, gallbladder and colon, so these key organs can focus on deeply cleansing and repairing themselves. Genetics play a role in all organisms, bacteria, animals, plants, all living things. Bacterial genetics evolve in hours, where ours evolve in decades. Environmental poisons, viruses, strep, herbicides, heavy metals, all pass into the sperm, into the womb, into the growing fetus. We genetically pass toxins to children. I feel this is the genetic challenge as opposed to a missing or mutated gene. Epigenetics is real and genes learn from their environment, which leads to a happy ending, we can influence genetic expression. I have noticed an incredible difference. I’ve been supplementing these particular organisms for a year. 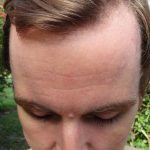 I doubled dosage to one fluid ounce on November 1st, 2017, and results really started coming. Remember, the skin is the tip of the iceberg. It is expendable and it will heal LAST. The internal healing happens first and this takes months, perhaps years. You will notice improvements and benefits internally along the way. I feel strongly that these PSBOs will minimize the healing crisis episodes for Warriors on their journeys. I think these probiotics are the sword and shield. They clear out the pathogenic organisms fully (sword), then keep them gone by creating an environment that is not conducive for viruses and bad bacteria to grow out of control (shield). The same goes for Candida, which is indigenous. We need Candida to digest simple sugars. The issue is, the fungus overgrows due to a surplus of simple, fermented, indigestible sugars being present in the gut and blood. We must restore the balance. A balance that many of us have never experienced in our lifetime until now, since we were born into the modern food vertical. My case of Erythrodermic Psoriasis was very severe. I think for those with mild or moderate Psoriasis, the results will show in about 90 days. 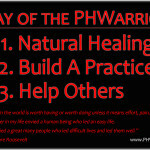 Especially if you are committed to the PHWarrior Diet & Lifestyle program. There are hundreds of others that I work with, whom follow my suggestions and are noticing incredible improvements. Even those who have very difficult and stubborn spots, are seeing them fade away. 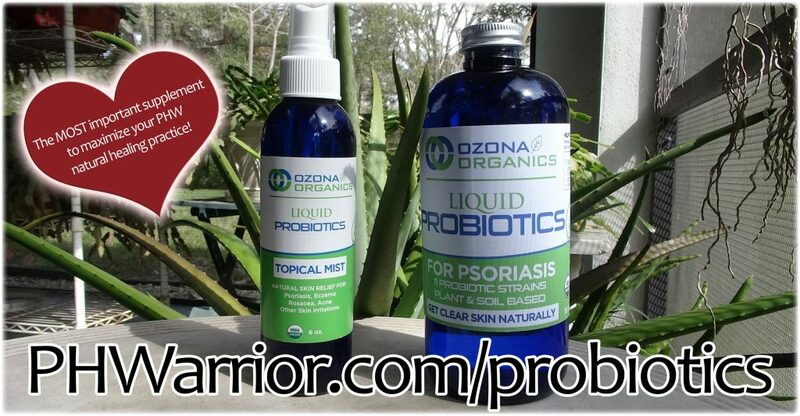 These probiotics are the closest thing to a natural cure for Psoriasis that I have found. I also strongly suggest using the topical probiotics mist as well. Randy just finished this product and it has really sped up my results since I started using it in October 2017. I spray some on all over after baths & showers. I apply one more time directly to Psoriasis each day. Click here to check it out. MyUS will give you an address in the USA to ship to. They then notify you when it is received and ship the package on to your home country address! You can then order probiotics and use the US shipping address you get. This saves money and time. There are many testimonials at the bottom of that page you can read to see others’ experiences and results, which are incredible! This is the only supplement you need to invest in and stick to everyday in my experience. Here are some notes I have made throughout my experience the past few months with these probiotics. I’m through my 6th bottle now, and the results are REALLY starting to happen. I missed 5 weeks in the middle too. I’m noticing general health benefits, beyond just my skin clearing up. I will not lapse again. I’m sticking with this as an ongoing supplement for life.